Sterling Academy offers three years of high school French courses. In addition, middle school students may take two years of French. We offer the following French courses. Each course is 2 semesters. You may also choose to take only one semester. 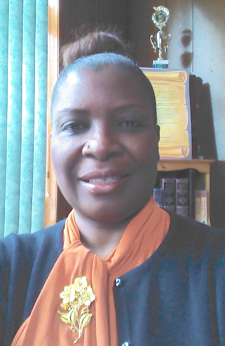 Evangeline Prosper, a native French speaker, grew up in Montreal, Canada. She has lived in 4 different states, and currently resides in Benton Harbor, Michigan. She has been teaching for 16 years. She earned her Bachelor of Arts in French, Bachelor of Science in Family Studies, and Master's degree in Secondary Education with a French emphasis from Andrews University in Berrien Springs, Michigan, and earned a Master of Special Education degree (Cognitive Impaired and Learning Disability) from Indiana University in South Bend, Indiana. Questions regarding our french courses? You can study French online at Sterling Academy. Most colleges require a student to have had 2 years of a foreign language in high school before being admitted into college. Which foreign language should you study? Here's why you should consider French. As a native English speaker, one of the best reasons to learn French is to help you understand your own language. Beginning in 1066, due to an invasion from William the Conqueror of Normandy (a part of France), French was used in England for official purposes and by the upper class. This official usage of French lasted for about 300 years, and as a result, about 10,000 words that we use in English come from that period. Even today, English borrows more words from French than any other language. From the Norman era, many French words relating to politics and government entered English, words such as capitalism, regime, justice, and embassy. Recent French words that have entered the English language include garage, brochure, plaque, and entrepreneur. In addition to learning the connection of the French language to English, you may want to consider learning French for traveling. France is the #1 tourist destination in the world, according to the World Bank (USA is #2). There are 33 countries that have French as at least one of their official languages, including Canada, Switzerland, Belgium, Luxembourg, and many African countries that used to be French colonies, such as Madagascar, Ivory Coast, Cameroon, and Senegal. French is an official working language of a number of world organizations, such as the United Nations and Red Cross, and the only official language of Doctors Without Borders (whose actual name is Médecins Sans Frontiéres). For increased language knowledge, for traveling, and for participating in world organizations, learning French can open you up to the world. Choosing to learn French at Sterling Academy will help you with this opportunity. In our French courses, you’ll strengthen your vocabulary and grammar with fun exercises like puzzles, and have the chance to practice your pronunciation either with our native-speaking French teacher and/or by recording yourself directly in the system. Your reading and listening comprehension as well as vocabulary and grammar will be tested every week. At Sterling Academy, you have a great opportunity for personal attention to help you get a solid foundation in French. If you would like to learn more about studying French online at Sterling Academy, or any of our other foreign language courses (Chinese, German, Latin or Spanish) or have any other questions about Sterling Academy, fill out the form to the right and our Enrollment Counselor will contact you and answer your questions for you.